NEW! Mark your place while keeping these beautiful women saints in your prayers. 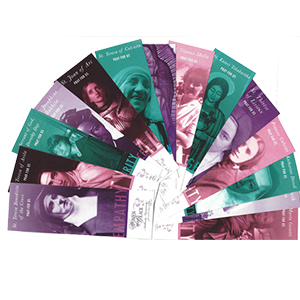 We have selected 15 of the beautiful women saints who grace the pages of our Full of Grace Study. The front of the card shows pictures of each woman and on the back is a prayer or quotation from each.